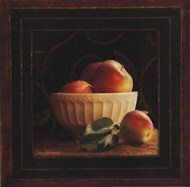 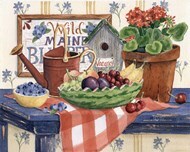 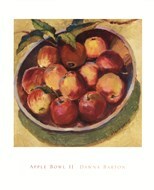 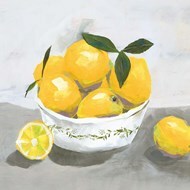 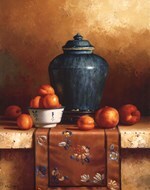 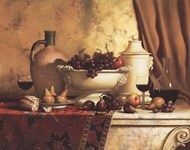 Fruit bowl art has been a part of still life artwork for centuries and has fascinated both traditional and modern masters alike. 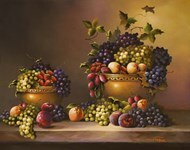 For many interior decorators, businesses and people looking to add some extra sophistication and class to their decor, fruit bowl art is an excellent choice. 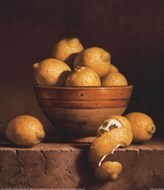 Also, thanks to the wide range of artists that have been fascinated by this art form, the variety of styles and subjects depicted is considerable. 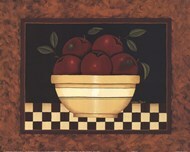 Fruit bowl art can use almost any fruit, although large ones such as pears, apples, lemons, limes, and oranges have always been popular because of their texture and color options. 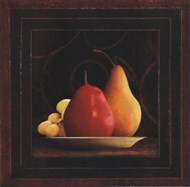 Curiously, tropical fruits such as coconuts, kiwis, and pineapples aren't often seen in these works although whether that's because of style, content, or difficulty is unknown. 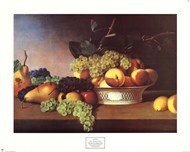 Traditional depictions of fruit bowl art have been around since the Renaissance, however it didn't truly become popular outside of religious artwork until Edouard Manet created the Impressionistic work, 'Still Life with Melons and Peaches'. 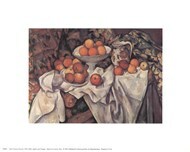 Additionally, Post-Impressionist Paul Cezanne devoted a considerable amount of time to this art category in his own work. 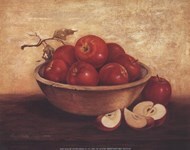 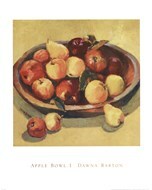 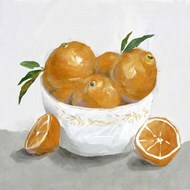 Cezanne's work, including the paintings 'Still Life' and 'Apples and Oranges', re-imagined this form of artwork by rejecting the strictly assembled still life paintings that were common and introducing a more natural look to this subject which has since become a trademark of modern fruit bowl art. 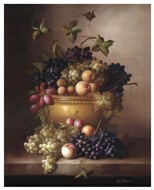 Modern artists have undertaken the task of re-inventing traditional fruit bowl depictions with enthusiasm. 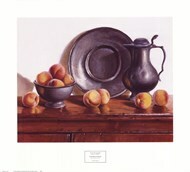 These works can be as sensually emotive as the work 'Orange Mangoes' or as gracefully deep and subtle as Loran Speck's work. 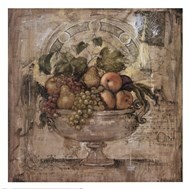 Curiously however, a dominant style of modern art that depicts this subject is Cubism. 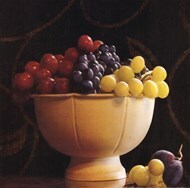 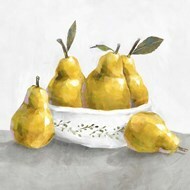 One of the co-founders of Cubism, Picasso, used the fruit bowl as one of his inspirations in art school and created several different interpretations of this form of art. 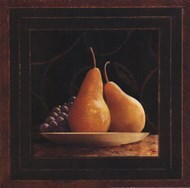 Ever since, Cubist painters such as Juan Gris and Penny Feder have been using this unique subject to re-invent their own artistic imaginings and change the perspective of the world around them.